Very often we need to access websites that have been blocked in our region for one reason or another. This has become possible with the help of VPNs that are currently available in the market. However, when we use VPNs we want to believe that we are protected from hackers and viruses and that we won’t have to face an ‘attack’ from advertisements. This is where the Windscribe VPN comes in. Windscribe give you more things than any ordinary VPN. It is basically a desktop application and a browser extension that works to give you online privacy, unblocks websites and removes ads and trackers from your everyday browsing. 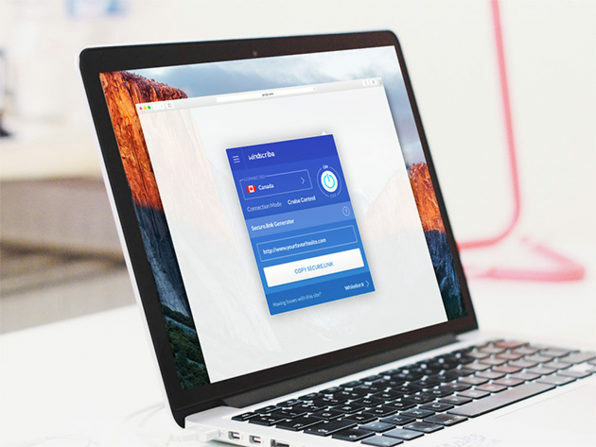 With the help of this VPN you will never have to deal with confusing settings and option menus. It is extremely simple as it turns on, on your desktop without any delay and gets to work. The deal offers version 1.58 of Windscribe VPN and it can be used on unlimited devices. It also comes with updates. It is compatible with Windows XP, Vista, 7, 8 and 10, OS X 10.8 or later, Linux and iOS. Another interesting thing is that an Android app of Windscribe is also coming soon. You can get the VPN at this site. After purchase it will give you a lifetime of facilities and ease. So what are you waiting for? Get the deal now before it expires.